The Erasmus+ AGM+ scheme is intended to do the groundwork for a European education model for excellence in academia and sport. “In the European model, academia must prevail. First academic excellence and then sport, to seriously differentiate it from the US,” explained Erasmus+ AGM+ director Susana del Río Villar at a website presentation event held yesterday (1 December). The website on show is all about giving students the tools to find European universities where they can coordinate middle and high level sport with flexible studies, while receiving support, scholarships and other benefits. Del Río, who was joined by Athletes Global Management Foundation president Gonzalo Corrales at the presentation, said that the platform would impose no extra costs on the universities taking part. Both now face the challenge of promoting and growing it across the European Union, as well as taking into account all of the offers they have received, especially from Italy, France and the UK, where the country’s universities are “very worried, sad and desperate” on account of June’s Brexit vote. The rationale behind setting up such a scheme is to ensure that young people do not have to choose between continuing with sport or their studies, explained Del Río, who holds a PhD in political science and is a member of the European Commission’s independent expert committee on citizens and governance in a knowledge society. Corrales said that Erasmus+ AGM+ was one of 19 projects selected by the Commission in October of last year, from a total of 349 submitted. He added that “if more European universities offered the option to mix studies and sport, fewer students would look elsewhere”; the US has been a popular alternative over the last two decades. The project came about when it became clear that “the Erasmus programme needed to be pushed on a bit further, it needed a catalyst”, explained Del Río, and sport is the vector that was chosen. 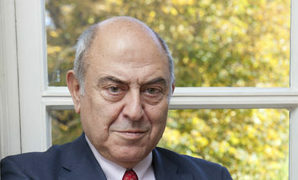 Del Río also insisted that there is a need for the younger generation to be able to “look at Europe and strengthen the feeling of being a European citizen”, because “sport an culture are great catalysts that create feelings in favour of the European project”. She is also convinced that during these “interesting times”, although “worried by security issues, the refugee crisis and immigration, projects like Erasmus+ AGM+ are “very important” to “convey Europe, crucial to the EU”. In this sense, she added that the scheme is a “breath of fresh air” that will “excite university athletes”. Del Río also shared her dream of all European sports teams eventually parading behind an EU flag at the Olympic Games, while still maintaining their individual national identities.